We have 30 of these high quality tables in stock. 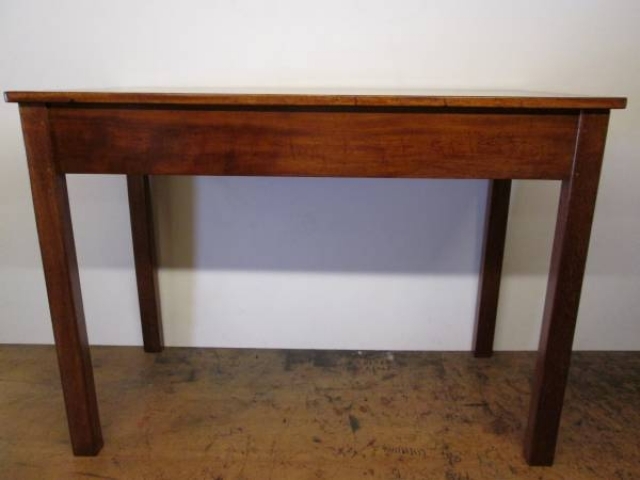 We have fully restored these solid British made tables. The tables are available with solid mahogany painted tops which can be laquered for durability with French polished beech legs and stretcher rails. Other options include solid mahogany polished tops with either painted or polished legs, or 100% solid mahogany without stretcher rails. Tables can also be finished to your desired taste (please phone with your requirements). Good old fashioned British made tables that can be customised especially for you! Dimensions - height 85 cms, width 120 cms, depth 60 cms.